The Christian Radich Limited 21" displays a wealth of detail parallel to that of the famous tall ship that is still currently sailing the seas today. 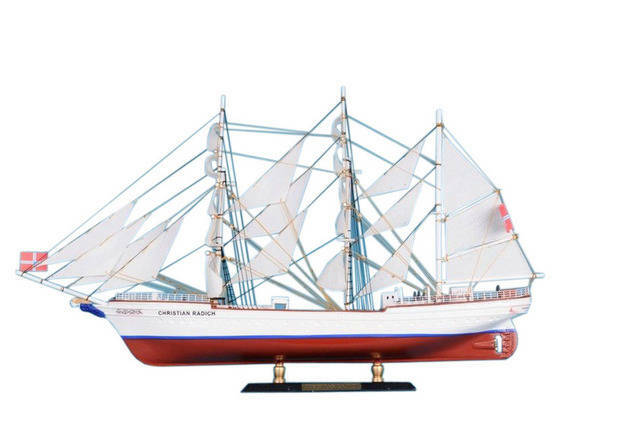 Own a part of history, as the Christian Radich is a five time winner to the Tall Ships Race and was immortalized in the 1958 international movie release, Windjammer. 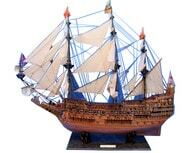 Setting the bar high in detail, this limited version has extensive details in the deck work, rigging, and a meticulously painted figurehead embodying the heart and spirit of the Christian Radich.